Allegations of abuse and threats on a Gander picket line failed to move a Newfoundland and Labrador Justice this week, who decided tense moments are just part of a picket. 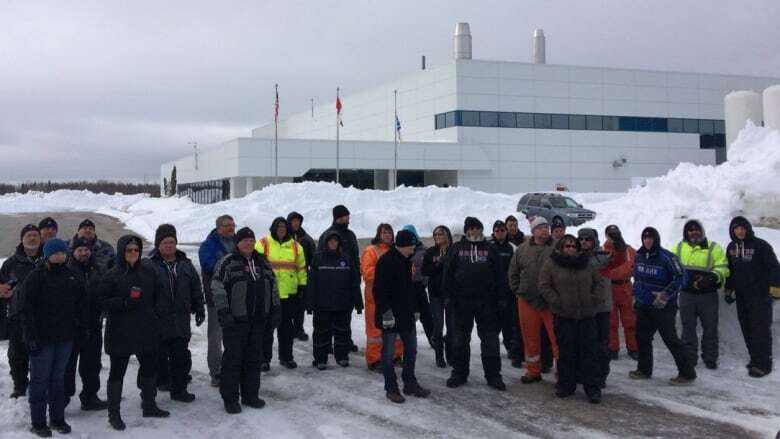 Allegations that picketing workers outside of D-J Composites in Gander struck vehicles, threatened to kill non-union employees and stared at them in an "intimidating manner" were disregarded by a judge on Thursday. Justice Donald Burrage said evidence offered by a manager at D-J Composites regarding "threats and intimidating behaviour" by locked out workers was unpersuasive. He further said that pickets, lockouts and strikes are a rough-and-tumble world. "This is a [lockout], and as the courts have repeatedly said, a [lockout] is not a tea party," Burrage said. "Some acrimony is to be expected, particularly in the circumstance such as this where employees have been locked out for a period of time during the winter months." Burrage made the remarks during a larger decision on an application to restrict picketing by D-J Composites employees outside of their Gander plant. The company is expected to win an injunction against the picketers which will limit their ability to delay vehicles from accessing the plant. About 40 employees of the aerospace manufacturing plant have been locked out since December 20, 2016, in a dispute over issues including wages and job security. Pete Rayner, the director of operations at the D-J Composites plant in Gander, alleged in an affidavit that picketing workers often swore and verbally abused managers and non-unionized workers who were crossing the picket line to go to work. "On at least one occasion, the Local 597 employees have struck our vehicles with their hands, have threatened to kill or strike us, have shined their high beam lights into our windshields while we were awaiting access," wrote Rayner. In cross examination, Rayner said that plant chair and union leader Iggy Oram stared at him in an intimidating manner. Those allegations were denied by Oram, who wrote in his own affadavit that while union members did "razz" other workers, and did chant and shout at them, verbal abuse and profanities "are not common." "I have not seen any violence or breach of the peace at the picket line … I know of no occasion when somebody struck a vehicle and I'm not aware of threats," he wrote. "When it comes to intimidating looks and stuff like that, you've got members on a picket line doing six, seven, eight-hour shifts out in frigid cold temperatures, and I'm not sure how you're supposed to look in times like that," he said. Burrage concluded that there wasn't enough evidence to support the allegations. He relied partly on testimony offered by RCMP Staff Sgt. Roger Flynn, who said that although there were two criminal complaints — one alleging threats and one alleging a hit-and-run — no charges have been laid. A third affidavit filed by the president of Unifor Local 597 Carolyn Wrice admitted there were some rude comments thrown by picketers towards workers trying to cross the line. "Particularly about two bargaining unit employees who accepted supervisory positions shortly before the lockout and have continued working. They have been called scabs and told that they should be ashamed," she wrote. "I also observed a picketer tease plant manager Pete Rayner about wearing an ugly hat." Burrage's decision Thursday was based largely on evidence about how long vehicles were delayed entering and exiting the plant. He said he was prepared to issue an injuction that will limit picketers' ability to delay cars from the plant in Gander. According to a lawyer for D-J Composites, it will apply only to unreasonable delays and not to short, temporary stoppages. 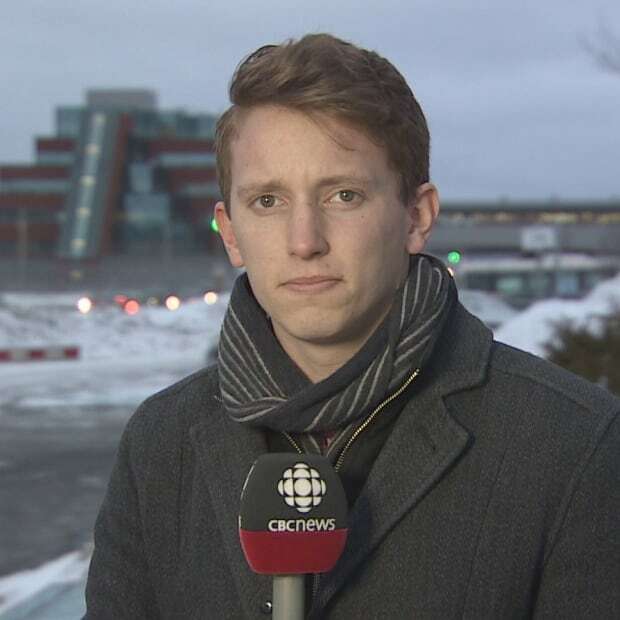 Garrett Barry is a CBC reporter based in Gander.